A is for alien, B is for Bomberman, and C is for Chun-Li. Do you know your video game ABCs? 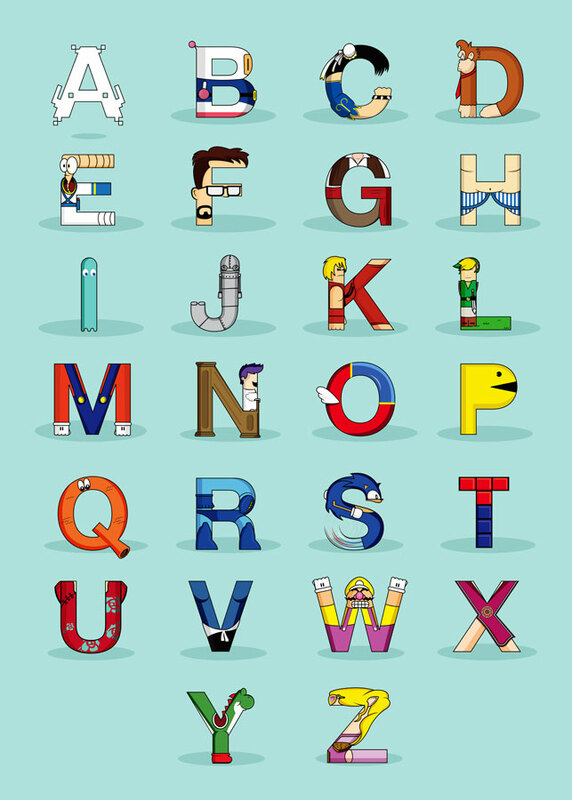 Artist Fabian Gonzalez knows his ABCs. He's created a series of colorful character-specific alphabets featuring superheroes and Simpsons characters ,and now he focuses his talents on creating 26 video game themed letters for your viewing enjoyment. Can you name them all? Be sure to check out Society6, where Fabian's creations can be purchased as prints, hoodies and t-shirts. I got all of em except for G, J, N, O, Q and V.
Now lowering my head in shame. You don't know G? You guess like a dairy farmer! C - Chun-Li - Street Fighter? O is Opa Opa!! Fantasy Zone rocks!